Merrythought Norville Discounts Apply ! 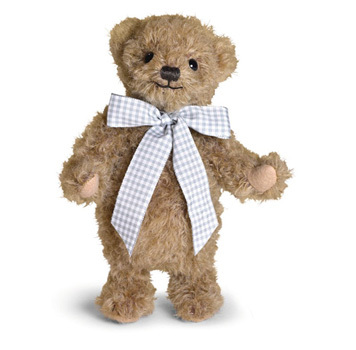 Norville is created from a curly hazelnut coloured mohair and resembles a real little bear cub with his rounded facial features and oversized tummy. His non-jointed lower paws enable him to proudly stand whilst his upper limbs and head remain fully moveable.